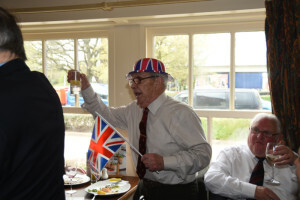 As this year’s event coincided with Her Majesty The Queen’s 90th birthday, Ron Burlingham donned a union jack bowler hat and waved a flag and led us in a toast to Her Majesty. 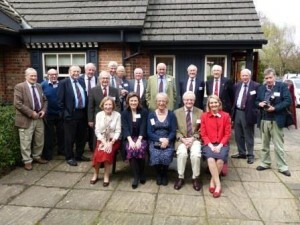 This was Headmaster Adam Williams’ first trip to the Bournemouth Reunion and he entertained the assembled gathering with news of the College and his plans for it. 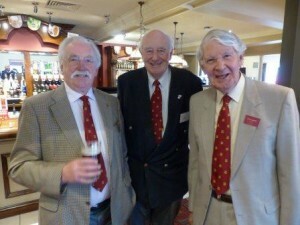 He also came up with amazing facts about Bournemouth we were unaware of, such as that the Beatles loved Bournemouth and played the most there after Liverpool and London and that Robert Louis Stevenson wrote The Strange Case of Dr Jeykell and Mr Hyde in the town.